What is a Good Marinade for Chicken? Start by gathering your listed materials above. 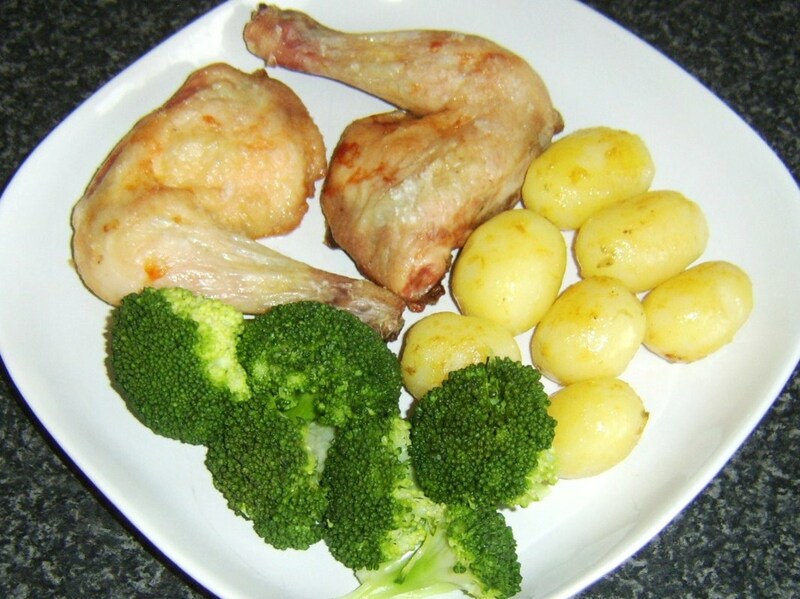 Take your chicken breasts and trim and discard of any extra or unwanted fat. 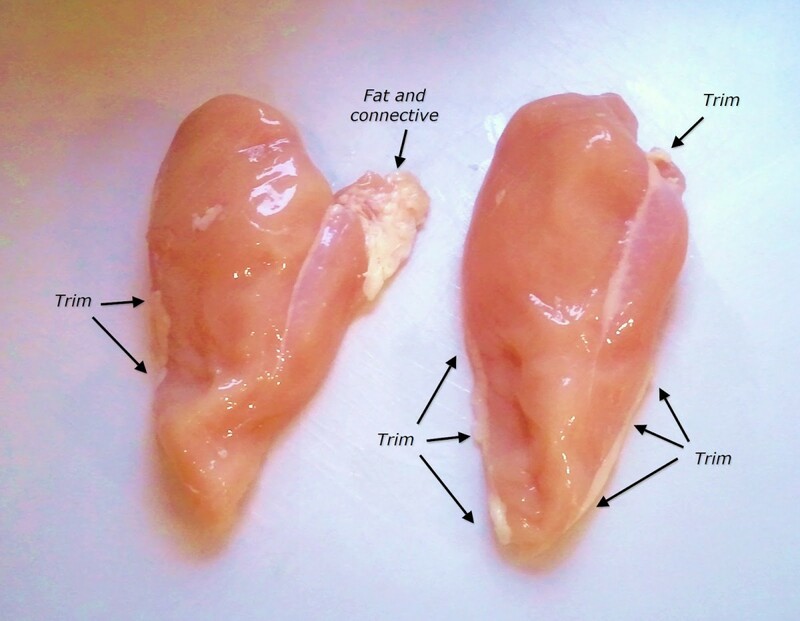 There shouldn't be too much since these are breasts. Once the chicken is cleaned to your liking, set it aside until it is time to marinade. The marinade is what makes this recipe so amazing, and it can be done a few different ways, but the best possible way is by using a mortar and pestle. Which Mortar and Pestle Material is Best? 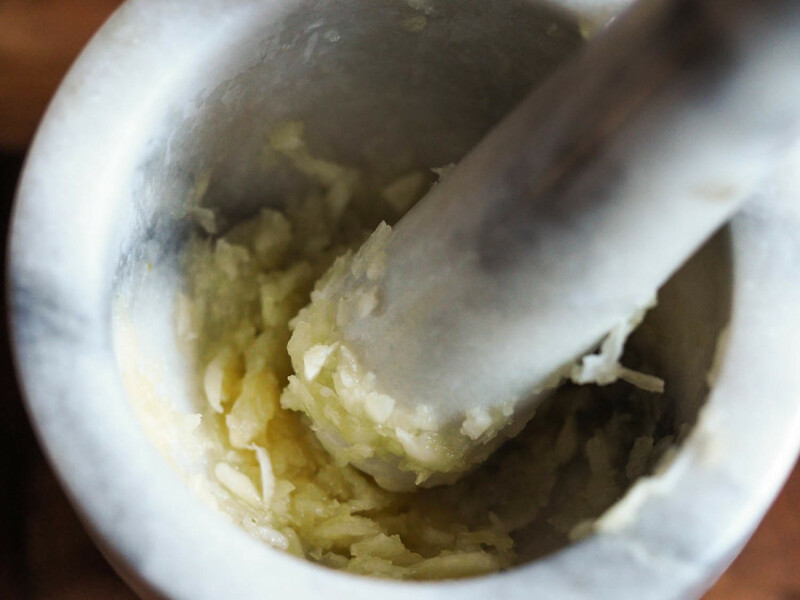 One of the key items you need to have in your kitchen is a mortar and pestle. It dates way back to when people crushed their herbs and spices between two rocks. It takes more work, is not necessarily easier, and it's time-consuming... But it makes your food taste intensely better than if you cooked without it. Crushing your spices, herbs, etc causes the natural oils and flavors to be released more than if you were to dice them or chop them. You can also achieve more of a powder with your spices than you could if you diced them yourself. I have cooked this recipe without my mortar pestle and the flavors just didn't pop the way I wanted them to. The garlic was barely there and I wouldn't have even known there were red pepper flakes if I didn't put them there myself. I was essentially eating honey chicken, which was good, but not amazing. 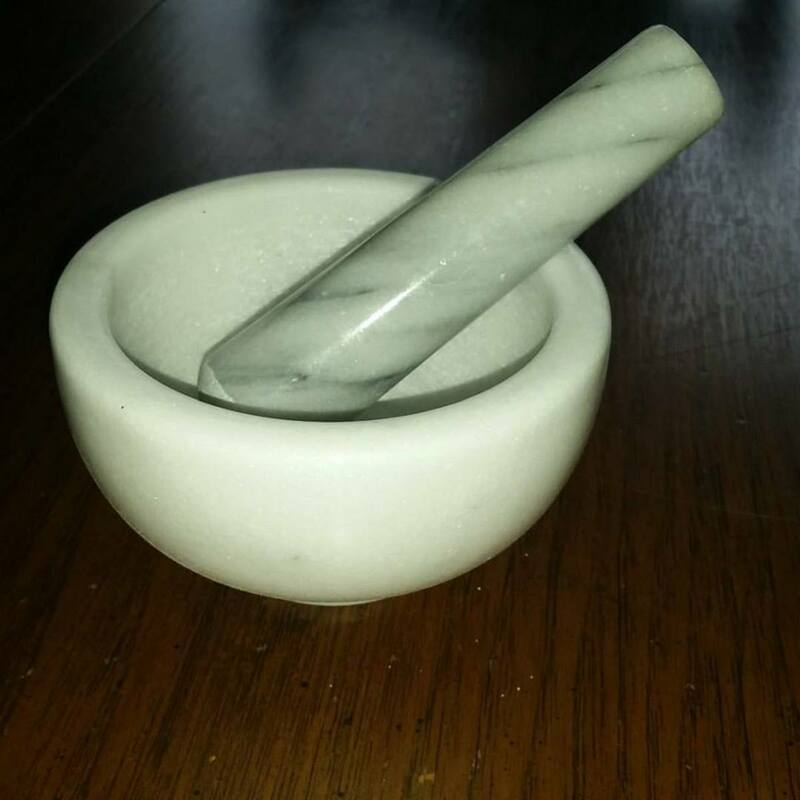 The exact same mortar pestle I own is posted below. They're dirt cheap on Amazon, and I posted a picture of mine on my table just so you know I'm not pulling your leg. These things truly are the greatest tool in the kitchen. Use it. For real. So now that you have absolutely taken my advice and decided to make this recipe the proper way, place your salt, pepper, and red pepper flakes in the mortar pestle and begin to grind them down. You can do this but repeatedly hammering them, grinding them, or tapping them until the contents of the bowl are powder. You want to make sure that the red pepper flakes are powdery because they will distribute the subtle heat more evenly over the chicken and mix with the marinade better than if they are still whole. Once you're satisfied with the consistency of the spices, throw in your garlic one clove at a time and begin to crush it until it is mixed well and has the consistency of a paste. The reason we put the garlic in last is that it is always easier to crush and mix with a little salt in the bowl. This goes for crushing any herb that isn't already dried. Crushing the garlic is going to give a stronger garlic flavor that really pairs well with the sweetness of the honey, and the heat of the pepper flakes. What is a Crushed Clove of Garlic? Now that we have our garlic and spice mixture, it's time to add it to the rest of the marinade. Take the honey you have set aside and microwave it for 15-30 seconds depending on the strength of your microwave. We don't want it to be hot, we just want to make it a bit runnier than it is currently otherwise it won't mix with the oil. Once it's loosened up mix it with your oil and begin to whisk it. Add in the garlic mixture and continue whisking until all of the ingredients are thoroughly incorporated. 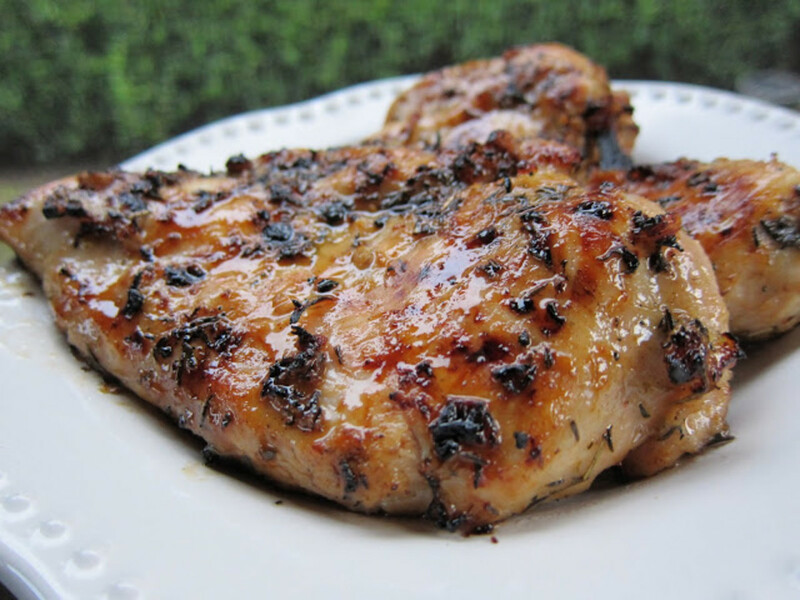 Take a fork and poke some holes into the chicken breasts before putting it in the marinade. Make sure it is entirely coated and then let it stay in the fridge for at least an hour, but up to overnight. Some acidic marinades can make chicken mushy or rubbery if left for too long, but this doesn't have those components so it'll be fine. How Long Do I Grill Chicken Breasts? Once you've decided your chicken has marinated long enough take them off and try to drain as much of the marinade into the bowl as possible. Because there is a lot of honey in the marinade, we have to try to get as much off as possible before it hits the grill. Honey has a lot of sugar in it, and sugar burns quickly. Don't throw away the excess marinade though, because we will be using it soon! Get a hot grill going, 350-400 degrees F, and place your breasts down against the grates. Leave the breast alone for a full five minutes, and don't touch it. When five minutes are up flip the chicken and take the marinade and slather a big bunch of it on. Cook for another five minutes, flip, and repeat the process. Once you have coated both sides cook for an additional two minutes with the grill lid closed. This will ensure the meat is safe to eat, being that the marinade had uncooked chicken it in before. If you cook for the allotted times above, you shouldn't have any worries about the safety of the chicken. Let the chicken sit for 5-10 minutes before cutting it. This allows the meat to redistribute the juices and finish cooking internally. If you cut it right away all of the juice and flavors will spill out onto the plate! After five minutes have passed, dig in and enjoy! Grilled Spicy Honey Garlic Chicken! Ignore my poor setup on this one! Trust me, it tastes WAY better than my plate presentation! This mac and cheese is rich, extremely cheesy, slightly spicy, and has a nice hint of bacon flavor. It's great for kids, family outings, or parties. You'll never cook mac and cheese differently. This pizza recipe includes an amazing homemade sauce, self prepared toppings, and an amazing authentic pizza taste. This crunchy on the outside, fluffy on the inside, savory and delicious potato side dish is super easy to make and a perfect pair for your "Steak and Potatoes" dinner. If you aren't sure what to do with leftover watermelon, this is the perfect recipe! 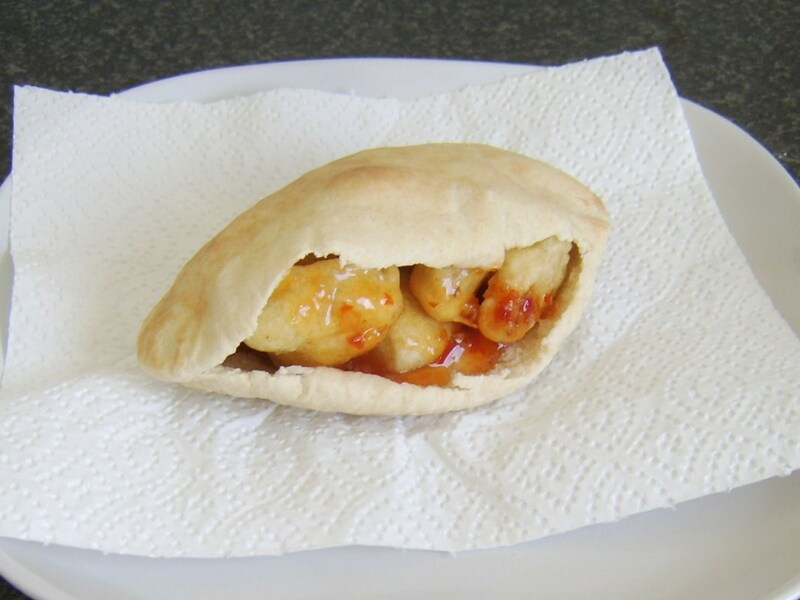 It's great with grilled chicken, hotdog and hamburgers, or just with chips! Finally got to making this. YUMMM! Sorry for the delayed response! I really appreciate you all taking the time to read my hub and the praise! Did anyone get a chance to try the recipe? How did it turn out? This will go with the corn recipe this week! And asparagus is great with everything. Wrap that in some bacon with the corn and this chicken....I'm salivating already! man that looks delicious, got to try that! I am headed to Wal-Mart right now to get everything I need to make this for supper. Can't wait! Thanks Fullerman! I appreciate the praise! Please give it a try and let me know how it is! You're my first reader so far so I'm excited to see a positive response! First thought, Yum. Looks delicious. I will definitely try this recipe and thank you for sharing it. 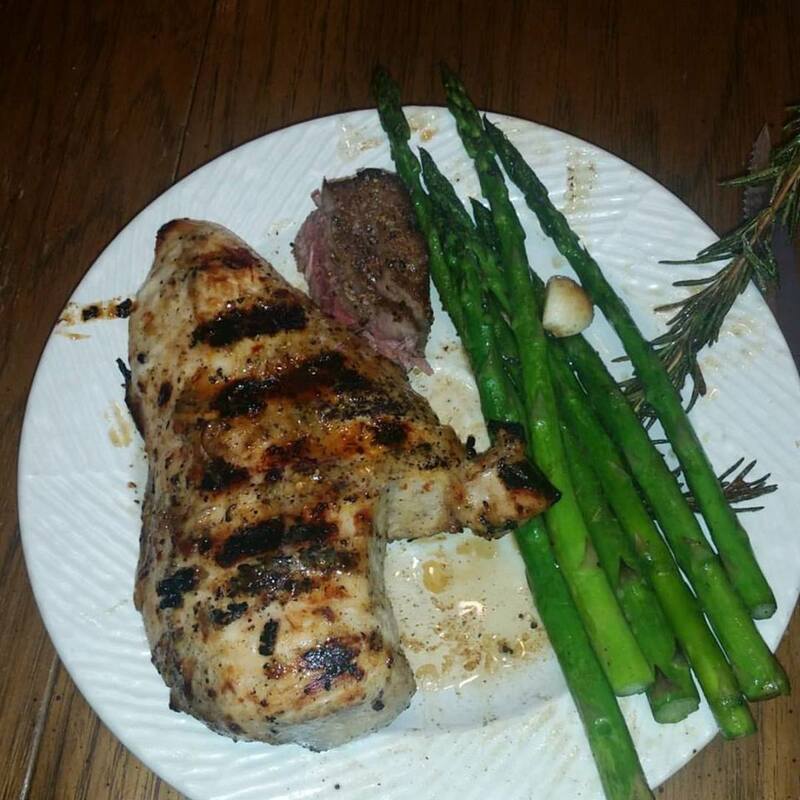 I love grilled chicken and normally glaze it with a honey teriyaki sauce I normally make. I will try this for sure. Good hub!